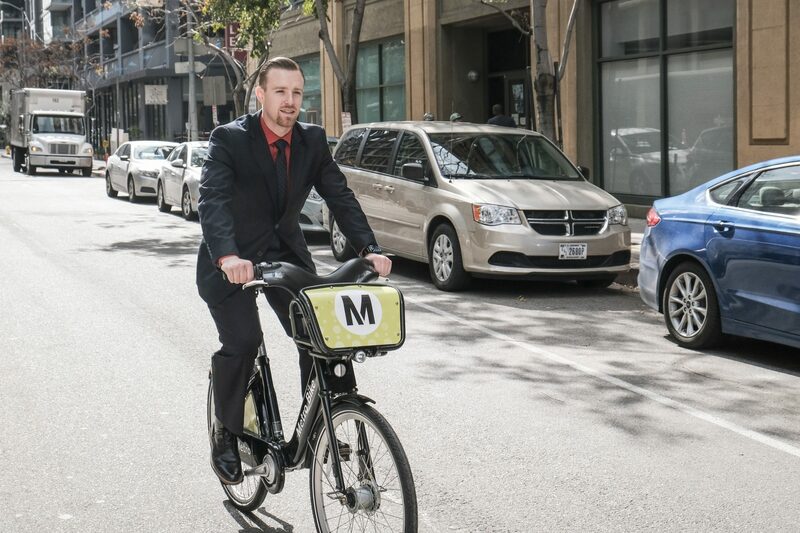 Metro’s Bike Share for Business program offers employers across Los Angeles County the opportunity to provide their employees with discounted passes. To help you understand how the program could work for your business we are showcasing some of the companies who have already signed up. Today’s business is the entertainment giant AEG. If you have ever watched a game at Staples Center or been to an event at the Los Angeles Convention Center, then you have experienced the facilities that AEG owns or operates. 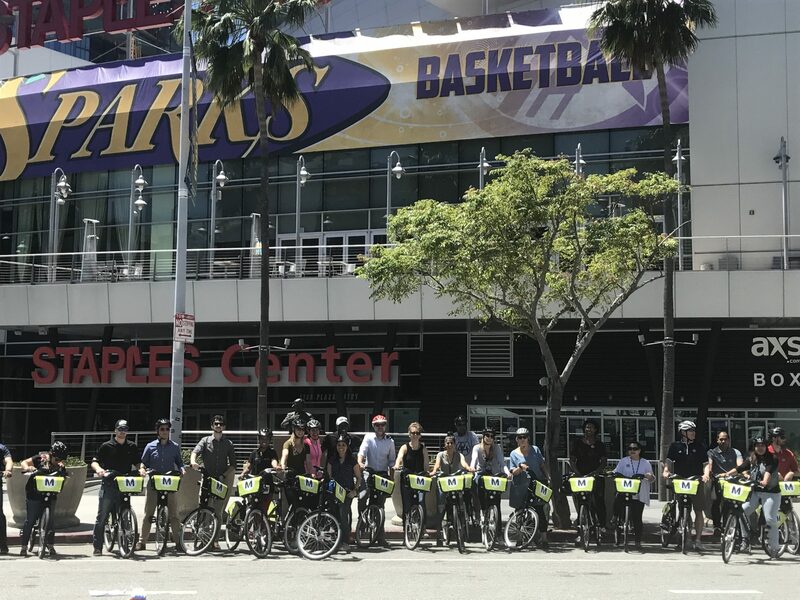 Metro Bike Share connects employees at AEG’s offices in and around L.A. LIVE with the rest of the city. Schiller commutes to L.A. LIVE from Pasadena, and Metro Bike Share helps him Go Metro. He takes the Gold Line from Allen Station in Pasadena to the Little Tokyo/Arts District Station, where he knows he can always find a bike to ride over to the office. Angelenos have no shortage of ways to get around the county, and Metro Bike Share adds one more option for times when walking, driving, and transit aren’t convenient. Is your company interested in joining Bike Share for Business? Metro offers Gold, Silver and Bronze plans offering employers and employees different options for splitting the $12/month pass price (a 40% discount off the standard membership rate). For more information and to sign up your business visit bikeshare.metro.net/for-business, email business@bikeshare.metro.net or call (646) 377-3706.